A thorough analysis and revamp of a global semiconductor manufacturer’s Return Material Authorization procedures saved the company $2.5 million in the first year. The client was an international power management technology manufacturer with sales of more than $1.1 billion. Corporate Training Institute’s sister company Corporate Knowledge, Inc., performed the project. The company had three North American return material authorization (RMA) receiving facilities: two in Southern California and one in Mexico. Monthly, the three facilities were receiving approximately 120 RMA shipments, amounting to almost 2 million pieces with a dollar value of $1.5 million. At the start of the project, $250,000 in RMAs had been open over 90 days. The existing RMA process plagued not only the Receiving department but also Accounts Receivable/Collections, Sales and Customer Service, but was the source of manual workarounds, numerous serious issues and big dollar losses. To offset the monthly quarter of a million dollars in pending RMAs the quarterly SEC filings included set-asides of $400,000. Unfortunately, the set-aside amount did not match the open RMAs, resulting in the value of the company being misstated. In addition, because Accounts Receivable was unable to process a portion of its customer credits, the books showed over $2 million in Collections (see A/R Issues below). 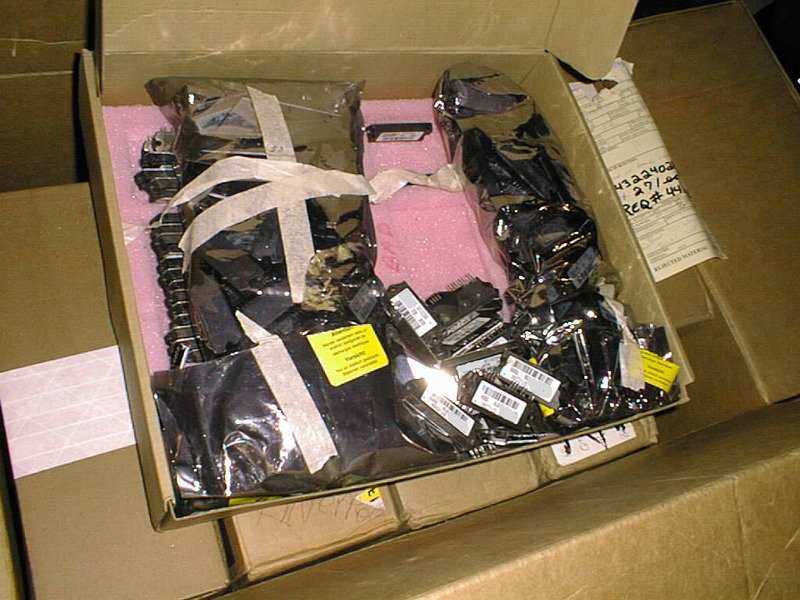 Not all returns were expeditiously processed by Receiving (the returns areas were at times backlogged and disorganized, returns were not uniformly logged or date/time stamped); there was no visual documentation system in place for damaged, unidentified or improperly packaged or wrong product returns, and no formal issue reporting process existed to transmit the information to A/R/Collections or Customer Service. This also resulted in no action being taken to recoup losses on damaged or scrapped goods, freight charges or industry-standard restocking fees. The Customer Service representatives, who were chiefly responsible for opening RMAs, were not receiving updates or meaningful feedback from Receiving or A/R on whether RMAs had been received, problems with shipments, damaged or incorrect product received, charge-backs or when credits would be forthcoming. For some of the larger customers, there had been no alternative than to just take the customer’s word for what it had shipped. This adversely affected a large spectrum of customer relationships – the company looked unresponsive to earnest customers and was open to being taken advantage of by the unscrupulous. In the course of performing departmental interviews at the headquarters, system and report analysis and audits, and inspections and interviews at all three receiving departments, the following core issues were identified. 20% of the RMAs had one or more problems: repackaging, relabeling, odd lots, missing complete packs, etc. Most multiple-RMA shipments would arrive in mixed fashion and would require review, investigation and in many cases repacking. Large count shipments would customarily take 2 receiving employees 8 hours each to process. Small dollar value RMAs which should have been authorized to be scrapped in the field were being returned. Between the small dollar returns which would be scrapped after receipt and the 20% problem returns (one of every five line items per RMA), the cost to the company was $3.8 million per year. The inventory system which contained the RMA module was not being uniformly utilized, had insufficient reason codes to manage the most likely RMA issues/scenarios (per the 80/20 rule) and did not provide RMA aging triggers. In addition to the system, the customer service department was using spreadsheets for RMA tracking in addition to logging RMAs in the system (manual processes in spite of an automated system are usually indicative of an under or mis-utilized system). For product that was not properly identified with RMA number, customer name, etc., in some cases there was no way to ever identify the customer or returned product. As an example, one RMA received at the Mexico facility was 265,000 pieces, which took 2 people three days to process. Product returned to the wrong location resulted in delays for it to be shipped inter-company; in some cases the RMA was never closed/credited. For returns incorrectly sent to the Mexico facility, there were additional Customs headaches, including penalties for non-conforming quantities and increased border audit frequency. The end product was a streamlined RMA process with coordination and alignment of all key departments – Sales, Customer Service, Accounts Receivable, Receiving, Quality Control and General Accounting. All departments were able to view current-time RMA activity, had current and accurate reports and were implementing useful reason codes and notes in the RMA system. The number of outstanding RMAs was reduced to a handful of “problem” RMAs, RMA credits and fees were now able to be efficiently processed, and Customer Service response improved markedly with a resultant rise in customer satisfaction. Training materials and a full complement of policies, procedures and forms were produced and put into use, including a dollar-value delegation of authority matrix and an RMA creation authority matrix. Changes to the customer franchise agreements to close inadvertent product return loopholes were underway and the first phase of a process to record the physical condition of returned product using digital images was implemented. This entry was posted in Blog, Client Case Studies, Emailed Promo. Bookmark the permalink.